Ahead of the start of cold and flu season, experts are cautioning that decongestants should not be given to children under 6. In a new review published in the BMJ, experts explained that there is no current evidence that over-the-counter decongestants containing antihistamines provide effective relief of symptoms such as a stuffy or runny nose. Additionally, these medications can have a range of side effects. Side effects in adults can include an increased risk of insomnia, drowsiness, headache, or stomach upset, but certain decongestants can cause “serious side-effects, such as hypertension, excitation and convulsions” in children, according to lead researcher Dr. An De Sutter, head of family medicine and primary health care at Ghent University in Belgium. The report concluded that decongestants or medicines containing antihistamines should not be given to children under 6, and they should be used with caution in children aged 6 to 12. Instead of recommending decongestants to treat a common cold, the researchers advise doctors to tell patients that symptoms should abate in a few days. The study authors noted that common colds typically clear up in 7 to 10 days. 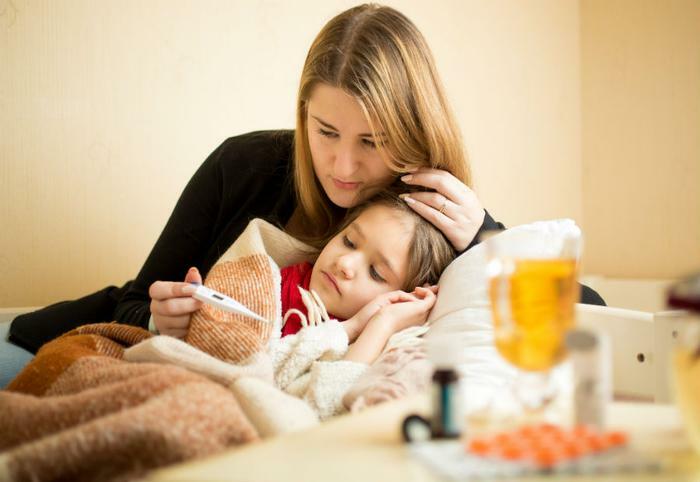 The U.S. Food and Drug Administration (FDA) also doesn’t recommend giving young children cold and cough medicines due to the risk of potentially serious side effects. Instead, the agency says parents can use acetaminophen (children's Tylenol) or ibuprofen (children's Motrin) to help ease certain cold symptoms in children -- specifically, fever, aches, and pains. To help alleviate congestion, the FDA says parents can consider using a cool-mist humidifier and/or saline drops. Making sure kids stay hydrated is also important.